CR designates compact radius, and VAB indicates a variable-angle swing boom. 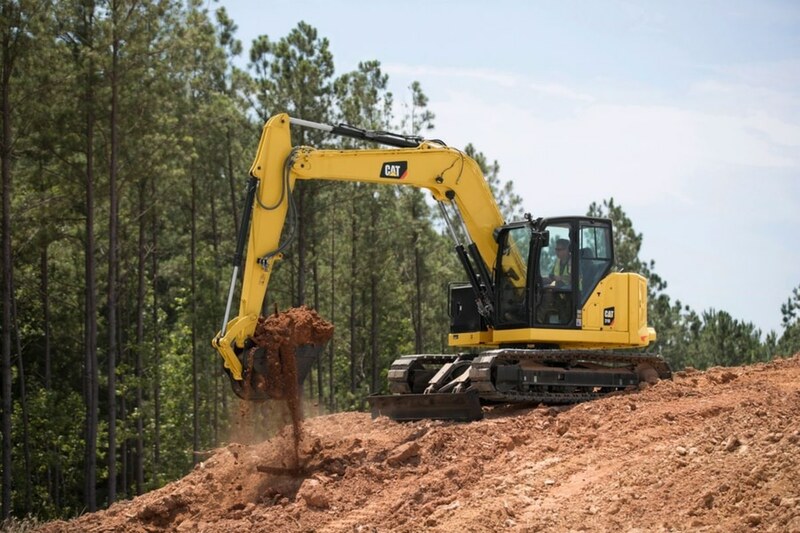 Operating weights range from 18,152 to 22,447 pounds, and maximum digging depths range from 13 feet 5 inches to 17 feet. 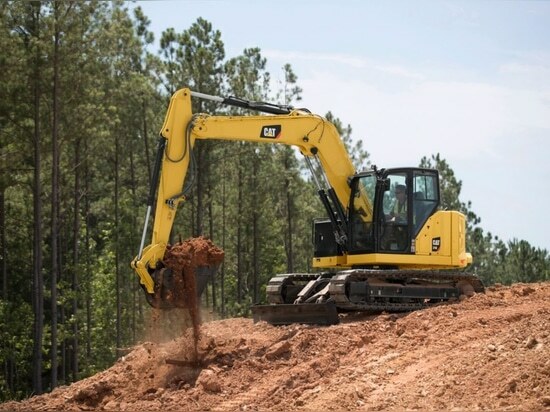 The 307.5 has a 55.9-horsepower Cat C2.4 turbo diesel, and the other machines use a 70.3-horsepower Cat C3.3 diesel engine. Cabs are sealed and pressurized, have suspension seats, and offer in-cab sound levels of 72 dB(A). The LCD monitor has a jog-dial for easy navigation, including setting personal operating preferences. A standard control-pattern changer allows operators to choose joystick movement. The front window slides upward and stores overhead, and a skylight aids in providing all-around visibility. A rear camera is integrated into the monitor. Stick Steer system allows the operator to switch from conventional lever/foot-pedal steering controls to joystick control. Load-sensing hydraulic system has an electronically controlled variable-displacement piston pump delivering oil flows up to 44 gpm in the 307.5 and 308 models, and 62 gpm in the 309 and 310 models. The 309 units have High Flow, for dedicated flow to the auxiliary circuit. Routine maintenance checks can be done at ground level through the side doors. Side panels are flat and recessed to protect them from damage.